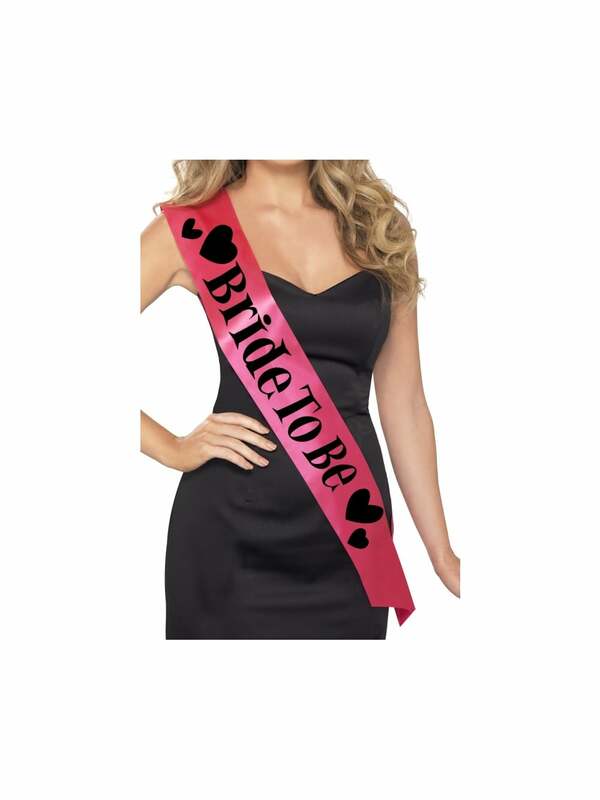 Make the hen party special for the bride by giving her a bride to be sash. This hot pink sash will make her stand out and let every one know she is the bride and it is her special night. Tip: Buy a party bag and put the sash in the bag as a gift for the bride. Showing our 7 Hot Pink Bride To Be Sash with Heart Design reviews with an average rating of Excellent. Would you like to write a review? The sash is very pretty and for the money, it's worth getting. The only downside is that it slides from her shoulders very often so we kind have to mend it. Other than that I am very happy with my purchase! Review - Looked Fab witht the Bride to be Hat! Looked Fab witht the Bride to be Hat! Review Title - Good quality sash for bride to be! Review - Bride to be loved this sash. I would recommend getting a badge to clip at shoulder to prevent it sliding . Bride to be loved this sash. I would recommend getting a badge to clip at shoulder to prevent it sliding .